Adventure Zone Day Camps 2019 heads to “Camp Moose on the Loose”! You are invited to join our campsite on the corner of Springfield and Spall! Registration is now open. 1. What are the dates of your Age 3—5 Camps? 2. What does a typical day look like at the Maker Fun Factory Age 3 – 5 Camp? 3. What is the time frame for the Age 3 – 5 Camps? *Families are invited to join us at 11:45 am for dessert, coffee and a special presentation by the campers to celebrate their week of camp with us! A hot dog and veggie lunch will be provided for our campers on Friday. Extended care is not available for our Age 3 – 5 Year Old camps. 4. How old does my child have to be to attend the Age 3 – 5 Camp? Children need to be 3 years old by January 1, 2019 to qualify as campers. 5. What program materials will be used to teach my child? Jesus calls…me to follow Him! Jesus shows me… how to love others! Jesus loves… and forgives me! Jesus loves me… very, very big! Jesus has… a plan for me! 6. What is the ratio of adults to the number of children at the camp? We ensure that there is (1) one adult leader for every 4 – 5 campers and a minimum of (2) two student helpers per room. 7. 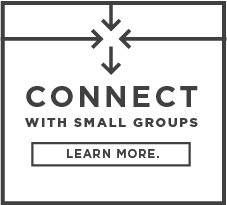 How many children attend Age 3 – 5 Camp? We accept 50 children per camp. They are then divided into three classrooms of 15 – 18 campers. 8. 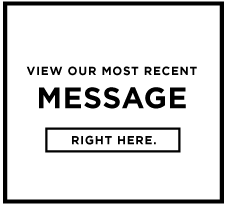 What is the cost of the Adventure Zone Age 3 – 5 Camp? Full amount is required at the time of registration. Camp registrations can be paid by cash, cheque, debit, Visa/MasterCard, or Pay Pal. Please note that financially, our Grade School Camps operate independently from our Age 3 – 5 Year Old Camps. The reduced rate is applied to camps of equal value. 9. How do you manage registration? Registrations will be processed online and can be completed through our www.adventurelandkids.ca website. Payment will be processed through Visa, MasterCard, or Pay Pal. Should you wish to pay by cheque, debit, or cash, you can complete the online form, however, payment must be received at Trinity Church office within 1 week to secure your child’s spot. Registrations can also be completed at AdventureLand during any of the weekend services. Camps fill up quickly and we cannot guarantee that your child has been accepted until payment has been processed. Once your child’s registration has been received, you will be notified within a couple of days should there be any problems. In the event you cancel, an administration fee of $35.00 will be applied for each application. Refunds will not be issued for any cancelled registrations 10 days or less prior to the camp, except in case of illness. 10. Is there anything else we need to know? We ask that campers be dressed appropriately for play and for varying types of weather. We spend part of our morning outside so please make sure your child has everything they need for being out in the sun. A small snack will be provided each day for our campers. Snacks may include: cucumbers, baby carrots, granola bars, rice krispie squares, pretzels, and animal crackers. If your child will require more food during the morning, you are welcome to send a snack with them. We maintain a nut-free environment at our camps. We ask that families with special dietary needs provide their own snacks. 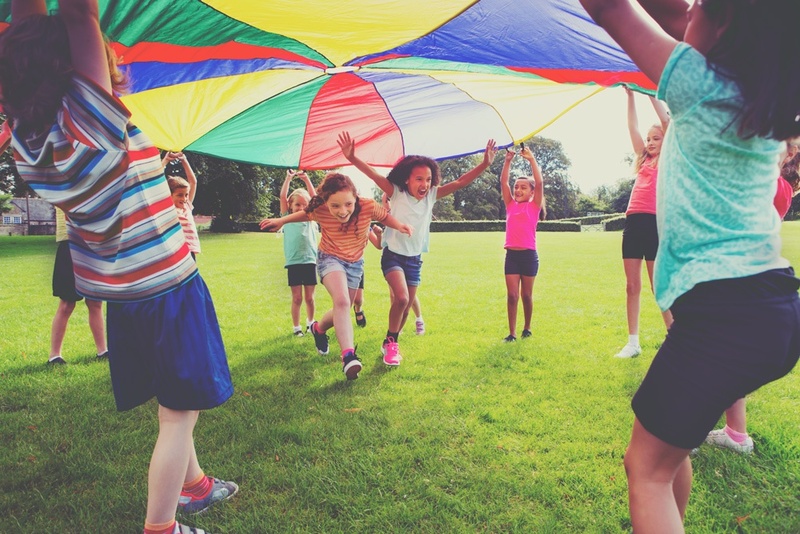 Once your child has been accepted into Adventure Zone Day Camps, you will receive an email that will contain all the details regarding our program two weeks prior to the start of your camp. 1. What are the dates of your Grade School Camps? The remainder of this FAQ section will deal directly with the July 8-12 and July 22-26 Camps. 2. What does a typical day look like at the Maker Fun Factory Grade School Camp? 3. What is the time frame for the Grade School Camps? 9:30 – 8:00pm Thursday – “Campfire Finger Food, S’Mores and More”. *Families are invited to join us at 11:45am for dessert, coffee and a special presentation by the campers to celebrate their week of camp with us! Pre-camp care is available for a fee of $25.00/week per child, or $5.00/day per child. Children can be dropped off at 8:00am each morning. If you require pre-camp care, please contact us at adventureland@trinitybaptist.net or by calling 250-860-3273, ext. 121 at least one week prior to camp. 4. How does the age structuring work for Camp? If your child will be in Grades 1 – 6 in the 2019 – 2020 school year, they are eligible for this camp. 5. What will my child be learning at Camp? Jesus knows… that I can make a difference! Jesus loves… me very, very deeply! Jesus knows… that I need a Savior! Jesus loves… and forgives me, too! Jesus knows…the plans He has for me! We ensure that there is (1) one adult leader and (1) one student helper for every 8 – 10 campers. 7. How many children attend Camp? We accept up to 110 children per camp. They are then divided into five classrooms of 18 – 22 campers. 8. What is the cost of the Adventure Zone Grade School Camp? Please note that financially, our Grade School camp operates independently from our Age 3 – 5 Year Old Camps. The reduced rate applies to camps of equal or lesser value. Registrations will be processed on-line and can be completed through our www.adventurelandkids.ca website. Payment will be processed through Visa, MasterCard, or Pay Pal. Should you wish to pay by debit, cheque or cash, you can complete the on-line form, however, payment must be received at Trinity Church office within 1 week to secure your child’s spot. Registrations can also be completed at the AdventureLand Desk during any of the weekend services. 10. Can my child be in the same group as his/her friend? Due to the large age differences at camp, campers will only be placed with boys and girls who are within a one (1) grade span, and will be placed with the younger camper’s age group. There will be no exceptions made to this policy. We ask that you request a maximum of two friends, beyond that we cannot guarantee that you will be placed together. Our registration roster is confidential; if you need information about the children registered in our camps, please contact the child’s family directly. 11. What type of off-site activities will my child participate in? In previous years, we’ve gone bowling, swimming, visited indoor play centres, water parks and mini-golfing. Final details will be listed in your parent letter. 12. Is there anything else we need to know? We ask that campers be dressed appropriately for play and for varying types of weather. Snacks will be provided each afternoon along with Thursday night supper, and Friday lunch. We maintain a nut-free environment at our camps. We ask that families with special dietary needs provide their own snacks and meals for the protection of their children. 1. What are the dates of your Sports Edition Camp? The remainder of this FAQ section will deal directly with the July 29 – August 2 Sports; Movers and Shakers Camp. 2. What’s different about the Sports Edition Grade School Camp? At the Sports camp, on Monday, students will choose 1 out of 3 sport activities to focus on for the remainder of the week. Each morning, time is spent on their “Skills’n’Drills.” This year, the sport activities that will be focused on are basketball, road hockey, and hip hop. 3. What does a typical day look like at the Submerged Sports Edition Camp? 4. What is the time frame for the Sports Edition Camp? Pre-camp care is available for a fee of $25.00/week per child, or $6.00/day per child. Children can be dropped off at 8:00am each morning. If you require pre-camp care, please contact us at Adventureland@trinitybaptist.net or by calling 250-860-3273, ext. 121 at least one week prior to camp. 5. How does the age structuring work for Camp? If your child will be in Grades 1 — 6 in the 2019 – 2020 school year, they are eligible for this camp. 6. What will my child be learning at camp? Jesus knows…that I can make a difference! Jesus knows… the plans He has for me! 7. What is the ratio of adults to the number of children in the Camp? We ensure that there is one adult leader and one student helper for every 8 – 10 campers. 8. How many children attend Camp? 9. What is the cost of the Adventure Zone Sports Edition Camp? 10. How do you manage registration? 11. Can my child be in the same group as his/her friend? 12. What type of off-site activities will my child participate in? 13. Is there anything else we need to know? Children will need to bring a bag lunch each day and we ask families to respect our “no Nuts policy”. Once your child has been accepted into Adventure Zone Day Camps, you will receive an email that will contain all the details regarding our program two weeks prior to the start of camp. Did you know that each weekend, it takes a team of 75 volunteers to take our kids on an Adventure with God! This is where you come in! If you’re all about being hands-on with kids, we have spots for you! We would love to have you partner with us in Nursery where you can snuggle and love on our babies and toddlers, in Preschool where we get to share God’s love through worship and play with our 2 to 5 year old kids and in Grade School where we get to dig deeper in God’s word with our Kindergarten through Grade 6 kids. We also have a need for first friendly faces to meet and greet our families, check in and check out system volunteers, craft preparations and special event planners who make a difference in the lives of kids each week! If you are thinking of joining our AdventureLand team, please Register Here. Stay up to date with what AdventureLand has in store! We are committed to Kid-Targeted Teaching. We believe that children need to know God through His Word, connect with Him in a personal way and love Him early and a lot! The Bible is the Word of God. Jesus wants to be my Forever Friend. I will follow Jesus. I will talk to Jesus. I will worship Jesus. I will serve Jesus. We are committed to Kidmunity; doing life as a team. I am a valued part of Trinity Church. I have friends in AdventureLand. I can bring other friends to AdventureLand. My leaders know me, love me and keep me safe. My leaders connect with my family. My leaders are creative and fun. I can serve others. My leaders give God their best. We promise to represent Jesus to the children in our care. We want children to understand that they were created to live for something bigger than themselves, and that they can help change the world through Christ. I can reach out to others. I can give above and beyond. I can make a difference. From the moment your child is born, we want them to know that they matter to God, and they matter to us. Our Nursery is designed for little ones! We accommodate babies and toddlers from birth to 24 months, and then work together with our Preschool Department to make the transition into age-graded programming for the next step in your child’s spiritual journey. The Nursery is available for children during all Trinity weekend services. Babies and toddlers will be accepted 15 minutes prior to the beginning of the service. When you bring your little one to our Nursery, a staff member or trained volunteer is there to receive your child and to get any instructions from you as the parent. Although every family is assigned a family number, we will also be giving you a pager that directly connects you to the Nursery. We utilize the pagers when a child is not settling or a diaper needs to be changed. Some of your children will stay with us for 10 minutes, and other times, they will let you take in the whole service! We want to partner together with you to care for your little one. Our Nursery is a shared facility as we partner together with the Grins ‘n’ Giggles Day Care Centre throughout the week. Facilities are cleaned, vacuumed and sanitized prior to the beginning of our weekends. We also feature a private room for families to be utilized by nursing moms with age appropriate toys, a safe playing area with television access to the weekend service. Your life changed when this little one became a part of your family – and to celebrate that, we host Parent and Child Dedication Services two times throughout the year. We want our preschoolers to experience God’s big, big love! Let’s just say, who doesn’t want to be a part of our AdventureLand Preschool? There are roller coasters on the wall, caterpillars with moving parts and a room set aside just to worship God! The Preschool wing is full of laughter, smiles, hugs and a bit of running! When your preschooler joins us, they are separated in color-coded classrooms and start off meeting and greeting their leaders. Our classrooms are designed with preschoolers in mind and feature kitchen centres, reading nooks, trucks and blocks and puzzles. The next important part of our morning happens when your child will pick up their alphabet animal mat and join us for our Together Time. We worship God, and that’s not standing still – and then, together, we learn about God’s great, big love from His Word. You can always find a listing of what we are teaching your children, and we want to partner together with you so that the learning continues throughout the rest of your week! Then, children return to their classrooms for snack time followed by activities and crafts that help to tie the teach to the lives of our little adventurers! We want to make it fun and we want to make it stick. We are busy upstairs in AdventureLand because that’s where you will find our grade schoolers! Our grade school program is designed for Kindergarten – Grade 6 students. We work to separate out our different age groupings so that learning can connect with where our students are at in their lives. Our weekends in AdventureLand are a combination of small group time and large group teaching designed to connect our kids to God. We challenge them to “Leave a Mark” in their homes, their schools, their community, their world. Each month, we focus on a virtue that is defined each week with new understandings from God’s Word on how to live it out. Your kids will be exposed to characters from God’s Word in engaging and challenging ways, they will experience energetic worship and thoughtful questions to make learning relevant to their world. What is our goal? We want your kids to walk away knowing God in a deep, meaningful way that will give them the foundation they need as they move into the middle and high school years. If your student wants to be part of something big that God is doing, they can join Rock Solid Choir from September to December. Rock Solid Choir is for students in Grades 1 – 6, and then all of AdventureLand joins them and comes together to kick off Christmas here at Trinity. We got to do it big this year – and our kids helped bring 2,200 pairs of shoes to distribute to those in need through our “Souls for Soles” campaign. Your children are God’s gift to you – and our responsibility at Trinity is to keep them safe and secure. In AdventureLand, we have policies and procedures in place to watch over your children when you entrust them into our care. We will work with screened and trained staff and volunteers. We work with a program called “Plan to Protect” and work through a 7 step plan to be sure that those who work with our children are screened, trained and ready to do their best for your kids. Our programs will be thought through with safety and security in mind. As we plan our weekly program, our special events and our day camps, we think about what we are doing, how we are doing it and what affect that may have on the children in our care. Our facilities will be thought through with safety and security in mind. That means we have outlet covers on all the plugs in our nursery and preschool areas. That means we restrict access to some of our hallways while our programs are in session. That means we need families to register with us so that we can be informed and prepared to meet your child’s unique needs. Our registration process will assist us in partnering together with your family. When you register with us, you get the express pass! We will provide a family number for you so that if we need you as a parent, we can communicate with you in the auditorium that your child needs assistance. We provide you with two parent cards which you will show to pick up your child. You will receive color-coded name tags for each child with their family number on it. Allergies and health concerns are noted on the back of your child’s name tag with an asterisk on the front to notify volunteers and staff of the specific health needs. You are responsible to look after your child(ren)’s tags – that way, we don’t have to look after 600 tags! Children are God’s gift to you! As you begin this amazing journey together as a family, we want to partner with you as you dedicate yourself and your child to God. At Trinity, we are committed to helping you as parents have the best possible family life together. We consider it a privilege to be able to participate in this dedication of your family. If you are interested in a private dedication service for your family, please Register Here. Calling all Grade 4’s, 5’s and 6er’s. Tag, You’re It! Not just another game. Be the game! 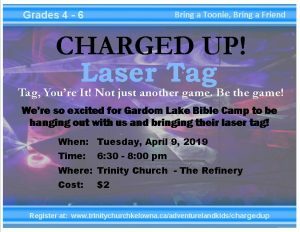 We’re so excited for Gardom Lake Bible Camp to be hanging out with us and bringing their laser tag! Bring a Toonie, Bring a Friend! Christmas has been a highlight for us in AdventureLand as we have watched Rock Solid and AdventureLand lead us to worship the birth of our amazing King. We have made the difficult decision to press “pause” on Rock Solid for one year in light of staffing changes and the challenges we had in finding a production that would meet our needs here at Trinity. We appreciate your support with this decision and will keep you informed as we move together into the future. Should you have any questions, you can contact Darcy Smith at dsmith@trinitybaptist.net. 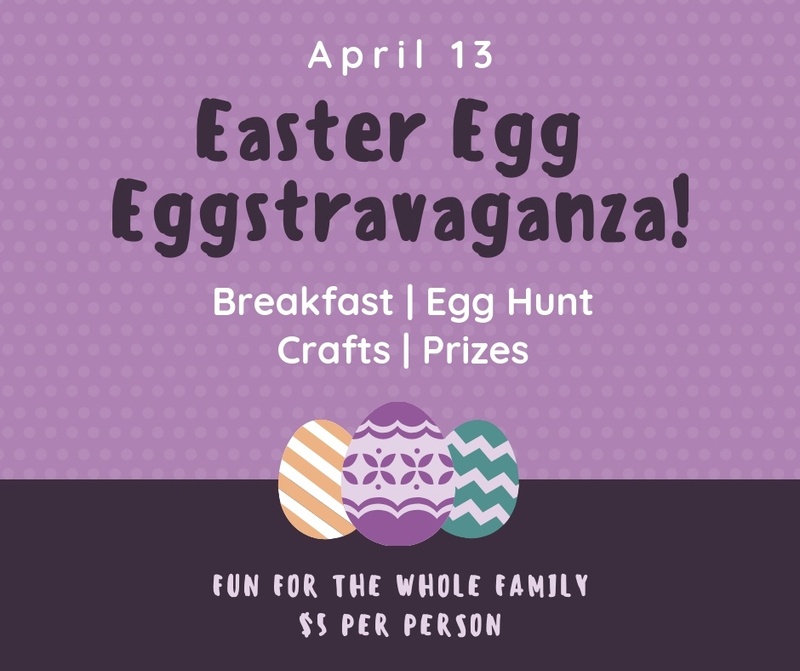 Join in on this fun family event!